If you have back pain near the kidneys, you could have an infection or more serious condition that could need immediate attention. Our team can help patients identify kidney pain symptoms so they know when to make an appointment at Affiliated Urologists. The kidneys can be found on both sides of the body near the top of the abdomen. They rest near the back muscles and sit just below the ribcage. This means that when patients have a kidney condition, they usually feel pain in their backs as opposed to the stomach area. It’s possible for patients to only feel pain on one side of the upper back where the kidneys are. Sometimes, back pain is felt on the side of the body as well as the back. Kidney pain could mean a wide variety of things. It could mean something as easy to treat as dehydration, but this is not typically the case. Kidney pain felt in the upper back can also be caused by a kidney infection, kidney stones, or even cancer. UTI – A urinary tract infection can take place in any area of the urinary tract: the bladder, urethra, or kidneys. A UTI in the kidneys (called pyelonephritis) can cause upper back or side pain as well as a fever, chills, or vomiting. It could be paired with other symptoms of a UTI found in other parts of the urinary tract including a strong urge to urinate and pain while doing so. Kidney stones – Kidney stones have very similar symptoms to a UTI. They include: back/side pain, strong urge to urinate, red or pink urine, and a fever. However, kidney stones have unique symptoms as well including a pain that grows from the groin to the abdomen and will often increase until the kidney stone is passed. Kidney Cancer – If a patient is experiencing back pain paired with loss of appetite, weight loss, or fatigue, they may have kidney cancer. However, if a patient has these symptoms, it does not always mean cancer. It could mean another, less-serious issue with the kidneys. Many of these conditions require interventional treatment at Affiliated Urologists. 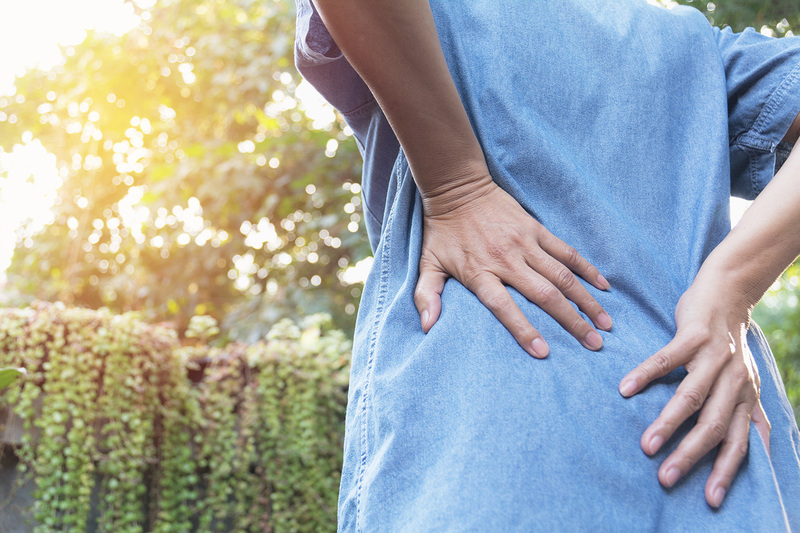 Some back pain caused by kidney problems can worsen if left untreated. Our team of skilled physicians can use cutting edge diagnostic methods to determine the cause of your back pain in order to proceed to treatment. Affiliated Urologists is an award-winning practice recognized both locally and nationally that has provided service to patients in Phoenix, Scottsdale, and surrounding communities in the Valley, for over 40 years. The physicians emphasize top-of-the-line comprehensive urological care and strive to deliver the highest outcomes for patient satisfaction. To make an appointment, call 602-264-0608 or visit http://affiliatedurologists.com/contact/ for instructions on scheduling an appointment.